Ulliance is an organization that offers human resource management, wellness solutions, and training to businesses of all sizes. They are known for providing customized Employee Assistance Programs and organizational leadership development programs. When they wanted to develop videos for their wellness service with a focus on healthy cooking, they called Media Genesis to help them out. 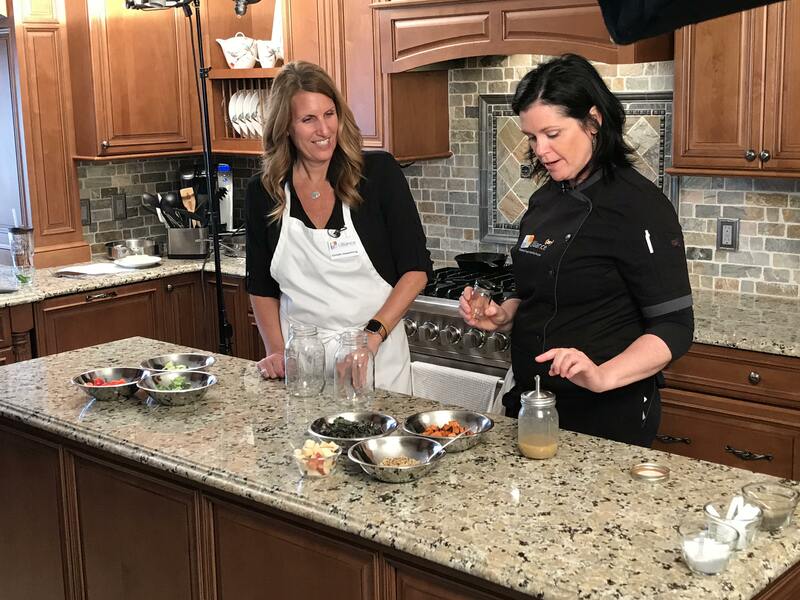 MG has been producing, filming, and editing the Healthy Cooking video segments with Ulliance chefs since 2016. The videos focus on healthy eating tips, best cooking practices and easy to prepare recipes. Prior to each video shoot we meet with the client and the Ulliance Chef to brainstorm possible dishes. Then, a script and outline of talking points were documented. For each video segment, our crew filmed at a private residence and set up lighting, audio, and filming equipment. During each video, one of the Wellness Managers offered questions and commentary as Chef Nicole prepared the dishes. In the most recent 2018 segment of videos, Ulliance Chef Nicole prepares five different dishes, perfect for the spring and summer seasons. We Have Videos, Now What? The videos were then edited into five different segments and featured on the Ulliance Wellness Portal and their YouTube page. In addition, the full-length videos were also edited down into social media friendly videos. Each of these videos were one minute or less in length and feature on screen text and graphics. They were used as part of a digital marketing campaign on Facebook and Instagram. To watch all the Ulliance Healthy Cooking video segments, check out our YouTube playlist.